Tomra Systems ASA is a Norwegian multinational corporation active in the field of instrumentation for recycling solutions. The company is the largest Reverse Vending Machine (RVM) producer globally and leading sensor-based machines for sorting and recycling. In addition to RVMs, TOMRA manufactures compactors, material recovery, and sorting machinery. With over 70,000 RVMs installed worldwide, TOMRA is the leading provider in the industry. L’Oréal is a French industrial group of cosmetic products. The company, founded by Eugène Schueller on July 30, 1909, has now become an international group, the world leader in the cosmetics industry. Created in 1990, SQLI is a group of services specialized in digital technology that supports companies and brands in their digital transformation. Listed on Euronext, SQLI has 2,400 employees in 32 branches in 13 countries. The Make.org citizen platform is developing a totally new digital solution for massive consultation, capable of involving several million citizens in several languages around a simple question of general interest and of rendering the results of this online consultation in an almost instantaneous way. A civic, European and independent initiative, Make.org is one of the most influential and dynamic actors in French and European civic tech. Éléphant vert is an international Swiss Group created by Antenna Technologies, a Foundation specialized in research, adaptation and transfer of innovative technologies to fight poverty and promote sustainable development. Located in France, Morocco and Mali,Éléphant vert provides innovative agricultural products and services: biofertilizers, biostimulants, biopesticides, as well as technical and financial support in the context of projects focusing on nutrition and natural crop protection. The Société du Grand Paris (SGP) is a public institution responsible for designing and building the Greater Paris Public Transport Network (RTGP) known as the Grand Paris Express. Doubling the size of Paris’ metro network, it is the largest infrastructure project in Europe. AIVP, the global network of port cities, brings together urban and port actors in the development of cities and ports as well as their partners. Its headquarters are located in Le Havre. Present on all continents, it brings together more than 210 members; cities, ports and economic actors. The international network of the International Association of Cities and Ports covers 49 countries. The Federation of Plastics and Composites is the main professional organisation representing material processors in France. It brings together and represents more than 3,350 companies, representing more than 125,000 employees, mainly from SMEs. It works at regional, national, European and international level to make the plastics industry more attractive and to address the major challenges of a rapidly changing industry in the context of decarbonating growth. The world leader in social trading networks, eToro is an Israeli company created in 2007 with the ambition of revolutionizing the industry. As a leading Fintech company, eToro offers both equity and cryptocurrency investments, as well as CFD trading with various underlying assets. Founded in 1990 by the famous French activist and former Minister Nicolas Hulot, the FNH (formerly the “Nicolas-Hulot Foundation for Nature and Mankind”) is a major French foundation whose purpose is to raise awareness of climate change and environment issues. The foundation’s mission is to propose and accelerate changes in individual and collective behaviour, and to support environmental initiatives in France and abroad to initiate the ecological transition of our societies. The professional football league (LFP) is the body that manages the activities of professional football in France in application and compliance with the regulations of the French Football Federation (FFF), including the organization of the French league 1 football championship as well as the French league 2 second division championship and the French League Cup. The League also looks after the French youth teams and the French women’s teams (including seniors). Index Ventures is an international venture capital firm with dual headquarters in San Francisco and London, investing in technology-enabled companies with a focus on e-commerce, fintech, mobility, gaming, infrastructure/AI, and security. Since its founding in 1996, the firm has invested in more than 160 companies (including Dropbox, Facebook, Criteo, Skype, Slack, Blablacar, Deliveroo, etc.) in 24 countries and raised approximately $5.6 billion. Listed on the New York Stock Exchange, Snap Inc is a California technology company based in Venice. Primarily known for its Snapchat application, created in 2011, Snap reinvents the way photos and videos are taken and shared. The company acquired the French start-up Zenly in 2017 and counts among its products Spectacles glasses, equipped with a camera, and the Bitmoji application. Europe’s leading tourist destination, with nearly 15 million visitors a year, Disneyland Paris is a tourist and urban complex located east of Paris. Owned by the Walt Disney Company, the site is a leading infrastructure at the heart of economic issues. With nearly 15,000 employees and 1.4 billion euros in turnover, Disneyland Paris is the 5th largest hotel business center in France. Oracle is an American software company based in California. Founded in 1977, it is one of the world leaders in cloud computing for businesses. Oracle is the second largest software manufacturer in terms of revenue after Microsoft. Born from the combination of Eco-Emballages and Ecofolio, Citeo was created by private companies in order to reduce the environmental impact of packaging and paper. Recognized by the State, in charge of a public service mission, it supervises and supports the recycling of household packaging and paper in France. It counts more than 50,000 companies as members and contributors. Sodexo is the world leader in Quality of Life Services, with nearly 450,000 employees. It is one of the largest private employers in the world. Through Xpenditure and iAlbatros Sodexo offers an optimized experience of business travel and the management of professional expenses for corporate businesses and their employees. A world leader in the reservation of accomodation online and internet services dedicated to tourist accomodation, Booking.com is also one of the most important European companies in the digital economy. Dutch by origin, it uses a reservation platform which allows consumers to choose between hundreds of thousands of accomosation options around the world. Founded in London in 2013, Deliveroo is a leader in the delivery of meals and is one of the most dynamic startups in the food tech sector. In France, just one year after its launch, Deliveroo is present in 17 cities and works with over 3,000 restaurants. Side, is the leading online staffing service in Europe. A rapidly expanding French start-up, it provides, through its platform, the temporary and flexible workforce that companies need. The “Siders” community offers a wide range of skills in business development, sales, logistics and events. Side manages the pre-selection of profiles, establishes the first contact and automates the administrative process: invoicing, electronic signatures, payments, insurance and worker follow-up. Taxis is a European transport company based in Tallinn, Estonia, which offers a mobile application to order a taxi or a private driver. Present in France and more than 20 countries, it is one of the most promising start-ups of the European continent. The United Nations Educational, Scientific and Cultural Organization is an agency of the United Nations (UN) based in Paris. Its declared purpose is to contribute to peace and security by promoting international collaboration through educational, scientific, and cultural reforms. A world leader in the skiing industry, the Rossignol Group designs, manufactures and markets a range of winter sports equipment. The group’s global headquarters are located in the heart of the French Alps. Its portfolio contains strong and complementary brands like Rossignol, Dynastar, Lange, Look, Risport and Kerma. The group also offers high-end ready-to-wear lines through Rossignol Apparel and other outdoor activity equipment. BeIn Media Group is an international media group, independent owner of the international sports network, BeIn Sports, which owns the broadcasting rights to major football tournaments around the world. BeIn Media Group is present in 34 countries on 5 continents and broadcasts more than 60 channels. Founded in 1903, Harley-Davidson is an iconic American motorcycle manufacturer based in Milwaukee, USA. Harley-Davidson produces heavyweight motorcycles and offers a line of motorcycle parts, accessories, general merchandise and related services. The RGA represents the world’s largest licensed, and stock market-listed remote gambling companies and provides the industry with a single voice on all the issues of importance to regulators, legislators, and key decision makers around the world. Based in London and Brussels, its membership includes most of the world’s largest and most respected Internet gambling companies. It is committed to promoting a regulated and non-discriminatory environment for responsible licensed operators in the world’s remote gambling markets. Badi is the leading platform when it comes to finding the perfect flatmate through smart recommendations and social connections. The mobile app and and website were created in 2015, and in just two years, the company has managed to transform the real estate sector in Spain thanks to the direct connections generated from user compatibility, eliminating the need for intermediaries. Badi was born to provide a solution to the growing needs of the entire “millennial” generation, who have found themselves with no other option but to share a flat when living in big cities such as Barcelona, Madrid and Valencia, and now Paris and other French cities as a direct result of ever-rising house prices. Launched in 2010, Drivy is a car rental platform and an iconic French Tech company. It allows consumers to rent vehicles close to their home or to rent out and monetize their own vehicles. Originally a Chinese company offering self-service bicycles, Ofo is present in more than 200 cities around the world. The special feature of this self-service bicycle service is that it is not linked to any station. The removal is done via the use of the mobile application by unlocking a code padlock on the back of the bike. Ofo is a leader in its industry globally. First home bike repair service, Cyclofix is an ultra simple on demand service. The objective of this French start up is to allow cyclists, regular or occasional, to have their bike repaired without moving from their couch or their office. No more miles on foot pushing your bike or the frustration of leaving your bike at home for lack of repair. Cyclists book their repairer in a few seconds, via the mobile app or the Cyclofix website, who will come to the address of their choice to maintain their bike, any day, even on Sundays. CNPA, Conseil National des Professions de l’Automobile, is the union of entrepreneurs in the automotive trade, repair and services of France. Its members, coming from the twenty professions of the automotive industry, industrial vehicle and two-wheelers sectors, are the prime contractors of the National Collective Agreement on Motor Trade and Repair, on which 96,000 companies and more than 420,000 employees depend. New Aquitaine, whose main city is Bordeaux, is the largest French region in terms of geography and has nearly 6 million inhabitants. At the forefront of the most dynamic regions of the country, it is at the forefront in terms of innovation, research and eco-system of start ups. The Croatian National Tourist Board is Croatia’s national tourist organization founded with a view to promoting and creating the identity, and to enhance the reputation of, Croatian tourism. FNAM represents more than 95% of the fleet and activities of the French air transport sector. Through 8 professional groups, it brings together 9 businesses and over 370 companies, including many French airlines (Aigle Azur, Air Caribbean, The Air France Group, Corsair International, XL Airways). FNAM represents more than 100,000 jobs including 72,000 jobs in airlines and 30,000 in groundhandling and airport management. The European Startup Prize for mobility is the 1st public-private award that supports breakthrough innovations that will shape the transport and mobility landscape in Europe andaround the world. Singlespot is a leader company in mobile predictive drive-to-store, enabling retailers to generate measurable point-of-sale traffic. Singlespot is a data marketing solution at the cutting edge of geolocation technologies, already adopted by hundreds of leading retailers in France. oBike is a station-less smart bike-sharing company born in Singapore which uses technology to change how transportation is viewed locally. It allows commuters to travel during one-way first- and last- mile commuting – via bicycles located all over the cities and territories where it operates. This provides a convenient and environmentally-friendly commute option for all in interconnected urban areas. A flagship actor in the French digital sector, Simplon.co is an enterprise from the social and solidarity economy which leads a network of “factories” (schools) which offer free training for digital trades with a shortage of qualified candidates, allowing jobseekers to quickly find work or create their own. The SYNERPA, historically the first national trade union of private retirement homes now represents the whole Elderly sector in France. A central partner for the elderly from their home to retirement facilities including services residence, the SYNERPA participate in the public debates around elderly care while maintaining a constant dialogue with public officials, elected representatives, journalists and professionals. Procivis and UES AP (social economy union for social home ownership) is a network historically committed to promoting social home ownership and the improvement of housing conditions. Procivis is a major player in the real estate industry (building construction, property development, services). The National Federation of Wine and Spirits Brokers Trade Associations of France brings together all the actors of the branch in France and ensures its representation at the national level. Central business of the wine and spirits industry, the broker is the professional intermediary intervening in “upstream” transactions in grapes, musts, wines (at different stages of production) or eaux-de-vie (cognac, armagnac) between the different operators of the wine world (winemakers, cooperatives and traders). Ector is a French start-up that brings a simple solution to a complicated problem: parking. 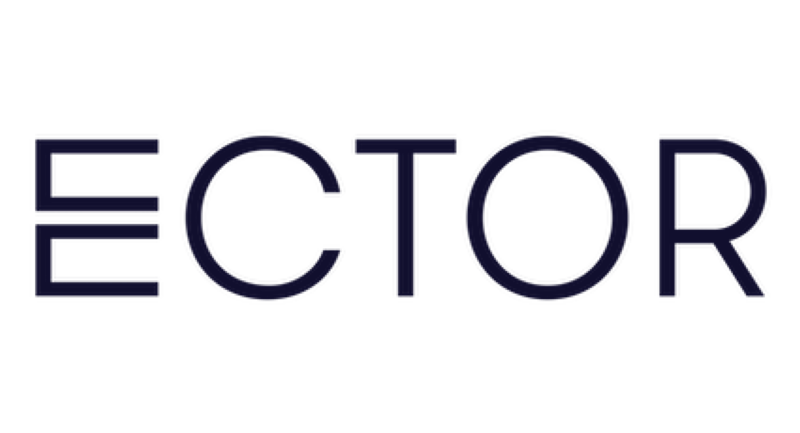 Ector makes available valets in railway stations and airports through a simple and intuitive app. NUMA is a leading startup accelerator based in Paris, Casablanca, Moscow, Barcelona, Mexico and Bangalore. Founded in Paris in 2013, NUMA also puts its expertise at the service of major international groups to accompany them in their digital transitions and assist them in developing the technologies that will shape tomorrow’s world. An aromatherapy laboratory bringing together biologists, biochemists, doctors and pharmacists, Panacea Pharma is a producer and distributor of essential oils and natural products for health and well-being. Eco-Emballages is a private company approved by the State to ensure the management of the national system for the sorting and recycling of household packaging. Its objective is to guarantee the environmental and social effectiveness of the system at the fairest price, and to achieve a rate of 75% of household waste recycled, compared to 67% currently. On 22 July 2015, the port of Boulogne-sur-Mer, the leading fishing port in France, and the port of Calais, the leading passenger port and fourth-ranking port for freight in France, merged to become the “Boulogne Calais Port” as part of a public service delegation contract (DSP) with the Nord-Pas de Calais Regional Council, which owns both. The European University Institute (EUI) in Florence, Italy, is an international postgraduate and post-doctoral teaching and research institute established by European Union member states to contribute to cultural and scientific development in the social sciences, in a European perspective. Based in Paris, Meridiam is a French group specialised in investment and infrastructure asset management for the benefit of the community. Created in 2005 by Thierry Déau, Meridiam is today present in Europe and North America. The company continues to develop within OECD countries by accompanying public authorities as closely as possible to their projects, from their conception all the way to very long-term management (25 years). Founded in 1982, Kingfischer plc is a major DIY British retailor. The group owns 780 stores distributed in 8 countries, amongst which the French Castorama and Brico Depôt. The world’s largest exchange company, the Nasdaq OMX Group was the world’s first electronic stock market. The Nasdaq OMX Group operates 26 marketplaces in the United States and Europe, and promotes global economic growth by connecting its actors across the world. Pôle Emploi is the French national operator for public employment services. Its assists job seekers in their job search until placement, ensures the payment of insurance benefits, supports the businesses in their recruitment processes and collects their contributions. The Canada Pension Plan Investment Board (CPPIB – OIRPC) is an independent body established by the Canadian government to oversee and invest the funds of the Canada Pension Plan (CPP). As of September 2016, the CPPIB manages over 300 billion Canadian dollars in investment assets on behalf of 19 million Canadians. Bombardier Recreational Products (BRP) is a world leader in the design, manufacturing, distribution, and marketing of motorized recreational vehicles. Built on a 70-year history and a workforce of over 6000 people, the Quebec enterprise distributes its products to over 100 countries. Founded in the Netherlands in 2008, the European Climate Foundation promotes climate and energy policies aiming to reduce greenhouse gas emissions. An independent organisation, its goal is to reinforce European leadership in discussions on climate change at the global level. To do this, it supports and works alongside governments, enterprises and NGOs across Europe. Aviation Sans Frontières (Aviation without Borders) is an NGO which drives humanitarian missions to help the most disadvantaged people in developing countries, particularly in West Africa. Thanks to its many volunteers, it has spent 35 years putting its material and human means at the service of various missions: humanitarian cargo, repatriation of children and refugees, medical messaging, and the transport of personnel from international organisations. ConsoGlobe is an online magazine created in 2005. It provides information and practical guidance on how to consume differently and sustainably while respecting the environment. The website has attracted nearly 30 million yearly visitors. Demeter Partners is an independent management company specialised in the management of equity funds dedicated to the fields of environment and the energy transition. It currently manages nearly 800 million euros through four mutual funds for innovation covering at once capital growth, the financing of innovative groups in creation, and in infrastructure projects. It recently fused with the group Emertec. Founded in January 2013, Edebex is an online marketplace that allows SMEs in need of funds to trade their bills for cash in 72 hours. Since its launch, 65 million euros have been traded through the Edebex platform. World’s largest producer and provider of electricity, the group Électricité de France (EDF) provides the public service of electricity distribution. Through EDF – SEI – Île de la Réunion, EDF produces, trades, transports and distributes electricity throughout the island of Réunion with all of the specificities that its insular situation requires. The Alliance Française of Brussels is an association created in 1945 with the mission of teaching the French language and promoting French and Francophone cultures, as well as defending cultural diversity. Ferrovial is one of the world’s leading infrastructure operators, dedicated to the design, construction, financing, operation and maintenance of urban infrastructure, transports and services. Based in Madrid, Ferrovial is part of the l’IBEX 35 capitalization-weighted stock market index. The company has 74,000 employees and a presence in over 15 countries. Since 1998, Sport dans la Ville has served as France’s primary professional integration association that operates through sports. The programmes established by Sport dans la Ville contribute to the professional and social integration of the 4,500 young people who are part of the association by participating actively in their progression and personal development. Founded in 1973, the ETUC now includes in its membership 89 national trade union confederations from 39 countries and 10 European trade union federations. Its mission is to promote and defend the rights of European workers through social dialogue with European and national institutions. The third-largest private foundation in France, the Michelle Darty Foundation is a renowned philanthropic institution of public interest whose objective is to aid in taking in an housing mentally handicapped adults of over 18 years old. It participates in the conception, construction and furnishing of its living and activity centres. A key french popular education player, the Institute for Training, Management and Counsel (l’Institut de Formation, d’Animation et de Conseil, IFAC) works alongside State authorities in the implementation of general interest campaigns supporting public education objectives. A cutting-edge cycling specialist, Look is the world leader in automatic road pedals. As the inventor of the automatic pedal, the first carbon frame in 1986, and the first track single-piece carbon frame, its policy centred on research and development earned it the INPI Trophy for France’s most innovative SME in 2009 and 2011. The Nevers-based company has also entered into textiles with the luxury Look Collection brand. The Association des Maires de Grandes Villes de France (AMGVF) gathers the mayors and presidents of the largest cities and intercommunal developments of France (over 100,000 inhabitants). Its mission is to defend the interests of large cities and their residents. It participates in parliamentary debates concerning local authorities and regularly publicises its propositions. Refund My Ticket is a startup that offers clients who have suffered delayed or cancelled flights to obtain compensation. By taking charge of claims, administrative work, and even legal procedures, the startup allows wronged clients to receive reimbursements of up to €600. No charges are incurred; Refund My Ticket only receives payment in the event of success. France 101st department since as of 31 March 2011, Mayotte is an overseas department in the Indian Ocean. With a unique identity, this territory works with considerable challenges related to development in the framework of its new status as a French department and an Outermost Region of the European Union. These developments have brought about profound changes driven by the Departental Council. Founded in 2011 by energy and climate specialist, Jean-Marc Jancovici, The Shift Project is a European think tank dedicated to the promotion of a carbon-free global economy. At the crossroads of the academic, corporate, civil society and the political worlds, The Shift Project aims to change our view about decarbonisation and influence decision makers. A classic “Made in France” brand, Time Sport International was founded in 1986 and has risen to the rank of a cycling icon thanks to the innovative and patented concept of an automatic pedal, which took into account for the first time the biomechanical constraints related to pedalling. Based in Paris, Fréget – Tasso de Panafieu focuses exclusively on competition law and regulation. Founded by Olivier Fréget and Charlotte Tasso de Panafieu, the firm provides its clients with support in defining and implementing their legal strategy by representing them at national and EU levels before courts, competition authorities and sector regulators. Nicknamed the “Capital of the Alps” Grenoble is the town centre of France’s eleventh largest urban agglomeration and is the heart of one of the largest areas of employment in the field of research and innovation in Europe. Euros / Agency supported the City of Grenoble in the “European Capital of Innovation” contest organised by the European Commission. Competing against sixty cities, Grenoble took second place just behind Barcelona. Founded by Éric Brac de la Perrière in September 2016, Yoyo is an innovative recycling platform that brings together citizens, businesses, local collectives and eco-organisations. This “Deposit programme 2.0” aims to double the rate of recycling for plastics in France by rewarding citizens for their contributions. Villes de France is a pluralist association of elected representatives bringing together medium-sized cities and agglomerations, which represents nearly half of the French population (30 million inhabitants). The assocation works to highlight the issues and ambitions of these urban territories, reinforce their contribition to economic, social and cultural development, and promote their image. Booming is a collaborative economy startup with the objective of supporting the development of businesses by providing them the skills they do not have the means of obtaining internally. To do this, Booming offers people in retirement or pre-retirement the chance to continue working to supplement their pensions within partner enterprises. Created in 1987 at the initiative of the Mayotte Departmental Council, the Departmental Tourism Committee of Mayotte drives and implements the tourism and leisure policies of the Island of Mayotte. The Committee animates the Department’s tourism-related organisations (boating, fishing, cruises, etc.) all while promoting the Island of Mayotte in France and throughout the world. 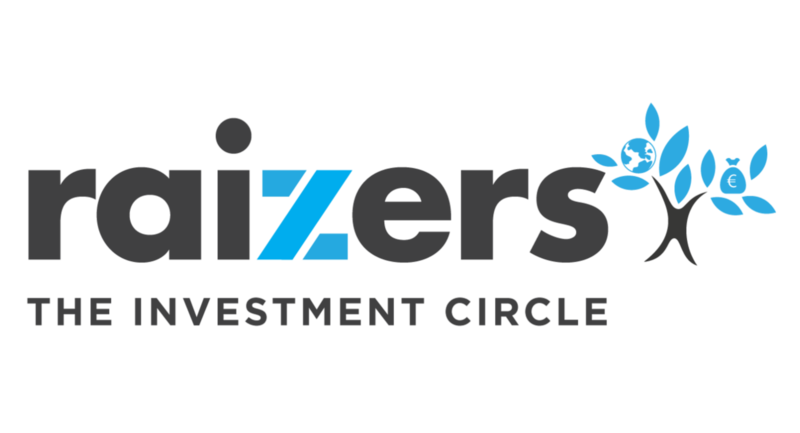 Raizers est la première plateforme de financement participatif à dimension européenne. Elle permet aux entreprises de lever des capitaux moyennant une prise de participation des investisseurs (equity crowdfunding). The Union of Engineers of Bridges, Waters and Forests (Union des Ingénieurs des Ponts, des Eaux et des Forêts, UNIPEF) is a place of reflection and exchange on experience with the aim of promoting engineers and scientific and technical careers.